Our blog provides only official information about the Russian President in English language. Latest news on Vladimir Putin - straight from Russia! Photos and videos of the Russian Leader. The blog is being developed by 1 person, without any kind of support from Vladimir Putin or Russian Government. Russian President Putin Latest News, Events from Life of Current Russian Leader. All the Information about the President of Russia Vladimir Putin in English. Meetings with Donald Trump, Recep Erdogan, other Leaders. Only Facts, No Fake News. True History of the Most Powerful Man in the World. Today Politics From Russia with Love! 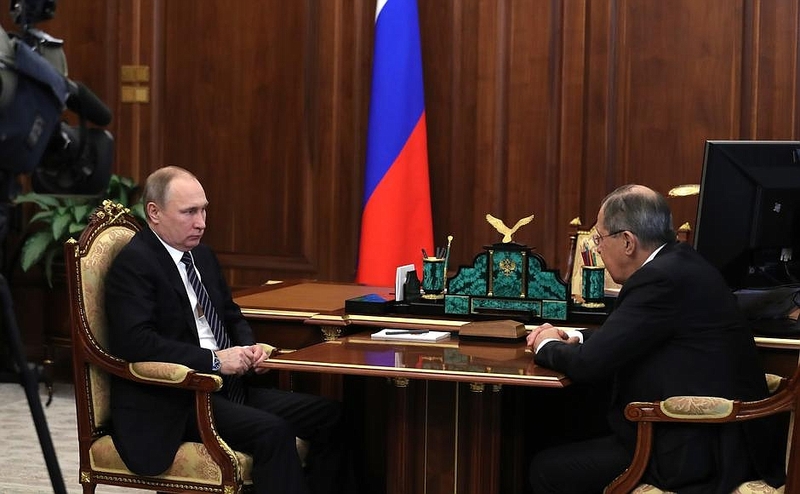 Vladimir Putin had a meeting with Foreign Minister Sergei Lavrov. The meeting took place on Diplomats’ Day marked on February 10. Earlier, the President congratulated current and former staff of the Foreign Ministry on their professional holiday. 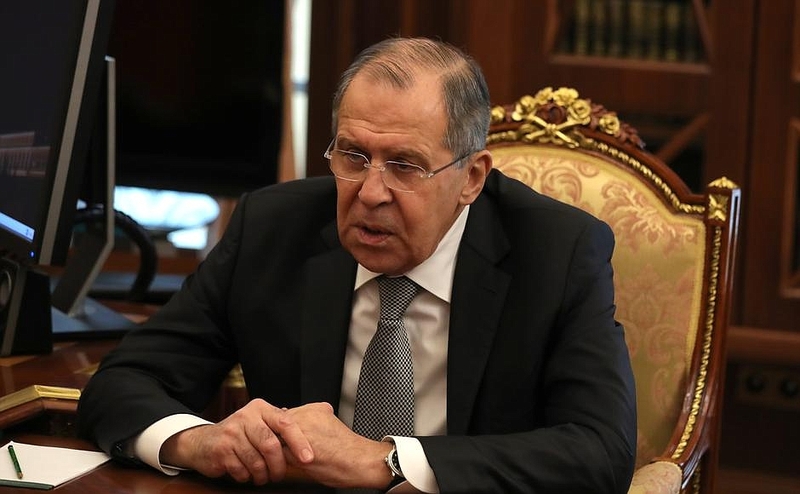 Mr. Lavrov, today you and your colleagues mark your professional holiday, Diplomats’ Day. I would like to congratulate you and all Russian diplomats on this holiday. We know that your work is very important, demanding and difficult, and that it has recently become extremely dangerous. I would like to thank you for everything you, your assistants and the diplomatic corps as a whole are doing in the interests of Russia towards strengthening its positions on the international stage. I have the best wishes for you. Thank you very much, Mr. President. We have received your message of greetings, which was read out at a meeting held today on the occasion of Diplomats’ Day. Thank you for the kind words you wrote in that message and have said just now. We appreciate your concern for and your attention to the diplomatic service, particularly to our professional tasks and also to the need to strengthen our workforce capacity, resources and to ensure social protection. This inspires our personnel to work honestly and efficiently in line with the Foreign Policy Concept that was adopted, with your agreement, in November last year. The Concept reflects a new stage in the history of international relations and follows on the concept that was adopted in 2000 and focused on openness, pragmatism and willingness to work with everyone who is ready to reciprocate on the basis of equality and mutual benefit. I would like to mention that we continue promoting counterterrorism cooperation. There are more and more supporters of the initiative you put forward eighteen months ago to build a broad counterterrorist front. As people abandon superficial and momentary considerations they become aware of the need to choose their priorities. Another area of our efforts are integration processes, strengthening ties with our partners within the CSTO, the Eurasian Economic Union, SCO, BRICS, the Group of Twenty and of course cooperation within the United Nations as the main pillar of international law and cooperation. Let me share some interesting figures with you. We signed several dozen agreements on visa-free travel between the Russian Federation and other countries as part of our efforts to facilitate people-to-people contacts. Over the last two years, tourist flows have been stable with the overall number of tourists steady at about 35 million on average. Interestingly, inbound tourism remains at a very high level with 25 million foreigners visiting Russia every year. I think that if we continue to promote people-to-people ties and cooperation with the civil society in other countries, it could help open borders, giving people more opportunities to interact with each other and thus help resolve many international issues in close cooperation with the Presidential Executive Office, the Government, the parliament and the civil society. The Foreign Ministry has a business council, an academic council and a council of the heads of Russian regions and we maintain regular contacts with non-governmental organisations that are also supported by the Russian International Affairs Council and the Gorchakov Foundation, which were established several years ago on your instructions. Once again, thank you for your high praise. In the congratulatory message you have sent us we saw not only an acknowledgment of our work, but also new objectives that we will not work to meet. I wish you good luck. Vladimir Putin with Foreign Minister Sergei Lavrov. Vladimir Putin and Sergei Lavrov in Kremlin. Russian Foreign Minister Sergei Lavrov. 0 Comment to "Putin had a meeting with Foreign Minister Sergei Lavrov"
Forum of Student and Youth Organization Leaders. Supreme Eurasian Economic Council meeting. The list of journalists. Vladimir Putin. Press Conference 2016. Vladimir Putin. Meeting with Government members. Vladimir Putin. Meeting with Russian business community. Vladimir Putin. Meeting With Federation Council and State Duma leadership. Vladimir Putin. Meeting with business representatives. Vladimir Putin. Meeting of Federal Security Service Board. 3rd CISM World Military Winter Games. Vladimir Putin and President of Turkey Recep Erdogan. High-Level Russian-Turkish Cooperation Council meeting. 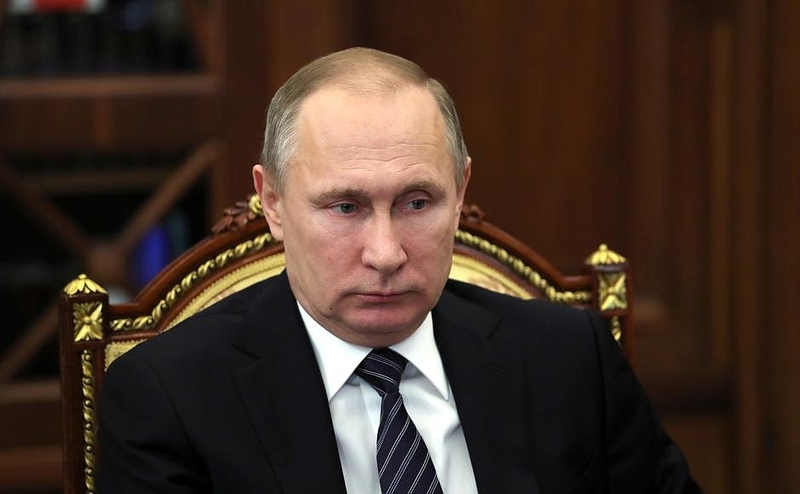 Vladimir Putin took part in an expanded meeting of the Interior Ministry Board. Vladimir Putin with President of Turkey Recep Tayyip Erdogan. Joint news conference. Vladimir Putin and President of Armenia Serzh Sargsyan in the Kremlin. Vladimir Putin - Ambassador's letters. Vladimir Putin and Russian Business. President Putin US-Russia business leaders. President Putin meeting with heads of business companies. President Vladimir Putin * DirectLine 2017. Vladimir Putin opens Russian football Confederations Cup. 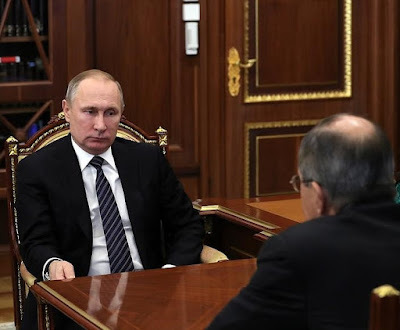 President Putin * Meeting Economics and Demography. President Putin * School Teachers in the Kremlin. President Putin * Meeting with Government Members. President Putin * Meeting with members of the Russian Academy of Sciences. President Putin * Recep Tayyip Erdogan * Telephone call. President Putin * Reception in honor of graduates of military academies.